Three-time nationally syndicated columnist Vox Day has been one of the most astute observers of the American political scene since the turn of the century. Known for successfully predicting the financial crisis of 2008 as well as the election of U.S. President Donald Trump in 2016, the iconoclastic writer’s work appeared regularly around the country in newspapers such as the Atlanta Journal/Constitution, the Boston Globe, the San Jose Mercury News, and the St. Paul Pioneer Press. Beginning in 2001, Vox Day wrote more than 500 columns for WorldNetDaily and Universal Press Syndicate. INNOCENCE & INTELLECT is the first of three volumes of collected columns, and consists of the columns published between the years 2001 and 2005. It addresses a wide variety of subjects, from encryption technology and economics to politics and video games. INNOCENCE & INTELLECT, 2001-2005 is DRM-free, 719 pages, and is available from Amazon and the Castalia House store for $6.99. This was not a blowhard emotional young narcissist with a flimsy opinion. He always knew what he was talking about. Nor was he a one-trick pony. By the time the tide was turning, and Americans were having second thoughts about what Vox called the “War on a Tactic,” Vox was already discussing the state of America’s failing economy. Comparing Keynesian and Austrian economics, reconsidering American policies on international trade, and exposing the lying financial media, his articles were some of the first to recommend caution in the expectation of a coming recession. He recommended people get out of debt and invest in metals. In mid-2003, Vox was already discussing an inevitable real estate crash that wouldn’t happen for another five more years. His expression of America’s disdain for crippling “free trade” would not be fully realized until President Donald Trump’s election in 2016—almost a decade and a half later. From the beginning of his time with WorldNetDaily in 2001, his writing seemed to surpass all of the typical right-leaning thinkers up until that point. And now, with the benefit of hindsight, we can see that almost every one of his positions from that early period have been vindicated by the recent events of 2016. I consider myself fortunate to have been able to discover such a writer from the beginning, and I truly feel as though I witnessed the embryonic stages of what would later become a great cultural change in America. 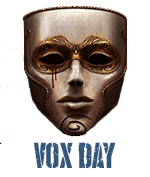 Vox Day did not hesitate to call out the grinning jackals and betrayers of our nation from the very start. He was, and still remains to this day, ahead of the curve. However, this first volume of the Collected Columns is not the only book we are releasing today. New Release subscribers, be sure to check your email today, because it's an offer you will NOT want to miss. Brainstorm subscribers will certainly remember the wonderful session we held with Dr. Christopher Hallpike, the well-traveled anthropologist who has utterly demolished the fairy tales of the evolutionary psychologists with his actual experience of living with hunter-gather tribes in Africa and Papua New Guinea. Well, I stayed in touch with Dr. Hallpike, and we managed to acquire the rights to his excellent book, DO WE NEED GOD TO BE GOOD? Anthropologist Christopher Hallpike has spent decades studying religion and morality in a wide variety of world cultures. In this book, he examines moral philosophies that range from primitive paganism to advanced secular humanism, as well as the sciences that attempt to study them. Featuring a Foreword by astrophysicist Sarah Salviander, DO WE NEED GOD TO BE GOOD? 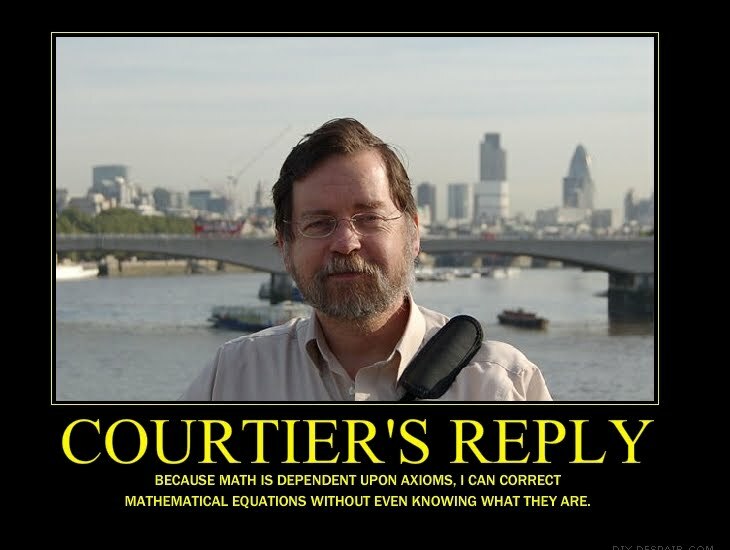 is a brilliant examination of an age-old question by a renowned scientist. 237 pages, DRM-free, $4.99 on Amazon, at iTunes, and at the Castalia House store. I missed you Judd Nelson! You were great in the Breakfast Club! Looks live Vox was way ahead of the curve on the fashy cut too. Eat your heart out Richard Spencer! "In mid-2003, Vox was already discussing an inevitable real estate crash that wouldn’t happen for another five more years"
Actually, real estate in the U.S. was already in trouble by the end of 2006. Hmmm, that's new. Does that mean Castalia wants us of the Apple master race to buy all their books now, or something special about this one? No, we're just trying out Macmillan's new distribution service to see how it works. I kind of wonder why Innocence and Intellect. Is this meant to be how your view of yourself? More of a Innocent person 15 years ago? Those eyes don't look innocent! This book is actually pretty cool, seeing as you evolve into... you. I kind of wonder why Innocence and Intellect. Is this meant to be how your view of yourself? More of a Innocent person 15 years ago? Vox - if answered elsewhere earlier and I missed it, my apologies. Are either of these going to be published in hard cover, and when? Otherwise, I need to convince a friend to let me gift her a download on her ipad, if I can figure out how to do that. Or make her download them and force her to accept the cash. Dr. Christopher Hallpike, the well-traveled anthropologist who has utterly demolished the fairy tales of the evolutionary psychologists with his actual experience of living with hunter-gather tribes in Africa and Papua New Guinea. Is it really possible that you found one person that went to Papua New Guinea that didn't go there to screw boys? Oh I like it! I like very much! Intelligent connection! 719 pages? Crikey that's a large one. Rarely ever seen in captivity. Are either of these going to be published in hard cover, and when? Glad to see Prof Hallpike's book is out. I'll try to post a review in the next week or so. It's one of the most profoundly informative books on religion I've ever read. The turtle neck to hide to blobby jawline is my favorite. Subtle. "VD was fashy, when fashy wasn't cool." The glory of your former hair, may it RIP. $6.995.28. For reasons unknown, Amazon is selling it at a 25 percent discount. As of 1pm EST, price at Amazon has returned to $6.99. Also noted that it is "Sold by: Macmillan" and "Price set by seller." I note above that "…we're just trying out Macmillan's new distribution service to see how it works." Well, one way it works is that Macmillan is one of the big publishers that won't allow Amazon to discount prices, IIRC. In the Amazon 1-click box it does say "Sold by: Macmillan"
Was about to LOL until I remembered photos of me with Led Zeppelin hair and sideburns in my youth. Carry on. Actually that's my favorite move -a turtle neck to hide my turkey neck. Ahahahahaha, were u gay between 2001 and 2005? Thanks again for the honor of participating on this one, Vox. Your stuff has always been great to read, and it's only gotten better since the old days. Fantastically better. Look forward to your books this year. Excellent choice for a cover picture. It screams, "this man is familiar with the works of 18th century composer Al Jourgensen, and is indeed prepared to dinga ding dang his dangalong ling long". Nice cover photo, snapping this up today. > No, we're just trying out Macmillan's new distribution service to see how it works. Downloading from Canadian Store with iBooks went fine, so looks like they've got the Apple end in good order yup. I'd pay $7 just for the picture. Can I get a 48bit SRGB file for wall size rendering?